About two years ago, one of India’s government officials opined that oil-powered cars were on the way out in his nation of 1.3 billion people. In a world that is increasingly affected by global warming, getting rid of vehicles that run on oil might sound like a great idea … but great ideas are not always realistic, especially in the near term. Now, I’m not certain of the accuracy of that proclamation on the other extreme, either. Always is a long time! What I’m fairly certain of is that it is viable to invest in one of the world’s top oil producers without worrying that “black gold” will disappear (or even wane) in the next decade or more. 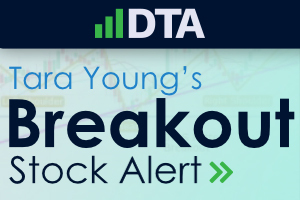 So I feel pretty good about selecting Chevron (CVX) as the next company to join DTA’s Income Builder Portfolio. 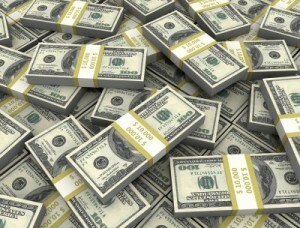 Come Tuesday, Feb. 12, I will execute an order on Daily Trade Alert’s behalf for about $1,000 worth of Chevron shares. 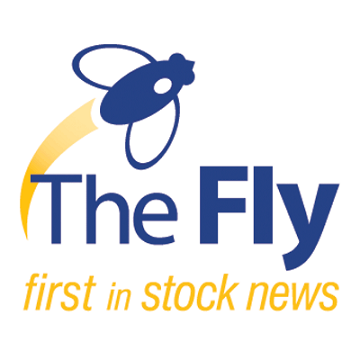 CVX will be the IBP’s first holding from the Energy sector, and it will give the portfolio 24 positions. Chevron is an integrated energy company with exploration, production, and refining operations worldwide. Chevron is the second-largest oil company in the United States with production of 2.7 million of barrels of oil equivalent a day, including 6.0 million cubic feet a day of natural gas and 1.7 million of barrels of liquids a day. Production activities take place in North America, South America, Europe, Africa, Asia, and Australia. Its refineries are located in the United States, South Africa, and Asia for total refining capacity of 1.7 million barrels of oil a day. Proven reserves at year-end 2017 stood at 11.7 billion barrels of oil equivalent, including 6.5 billion barrels of liquids and 30.7 trillion cubic feet of natural gas. Like every other oil company, Chevron struggled mightily as the price of the commodity plummeted from 2014-16 due primarily to oversupply. The situation adversely affected everything about Chevron’s business — earnings, revenues and free cash flow. The oil crash led CVX to do some serious belt-tightening, and when oil prices recovered, the company’s bottom line improved dramatically. 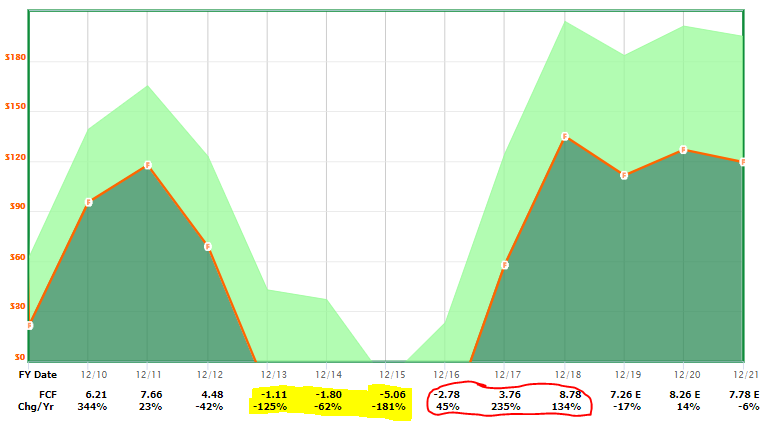 The following image from FAST Graphs shows how Chevron’s free cash flow practically fell off the face of the earth but then recovered (red circled area). Through it all, Chevron continued to be considered a high-quality company, with a credit rating of AA from Standard & Poor’s, a Financial Strength score of A++ from Value Line and an Exemplary stewardship rating from Morningstar. Chevron released its 2018 Q4 earnings report on Feb. 1, highlighting its strong performance last year. The company also noted its initiatives to reduce production costs and cut corporate costs, comparing the latter to peers such as BP (BP), Royal Dutch Shell (RDS), Total (TOT) and Exxon Mobil (XOM). Looking ahead — because investing is always about projecting the future — CVX pledged to continue improving cash returns and free cash flow. 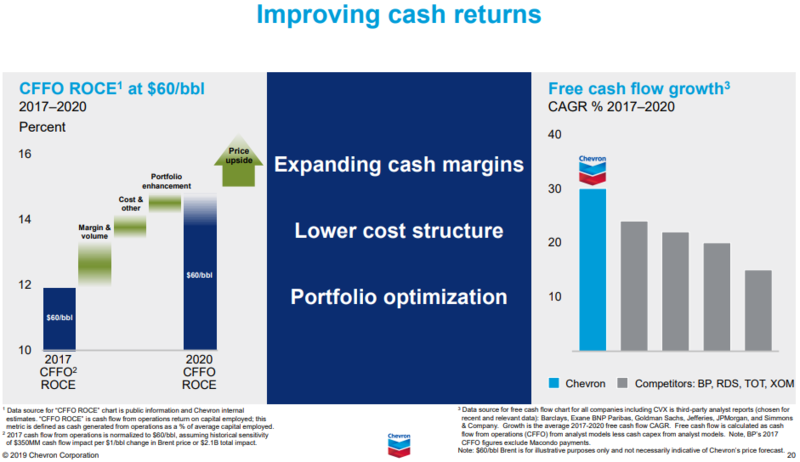 The bar graph to the right in the following slide compared Chevron’s current and expected FCF growth to that of its peers. 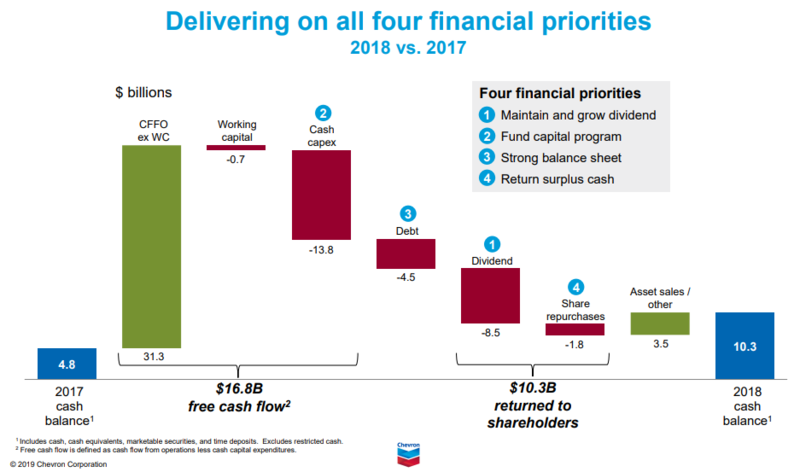 Chevron has paid dividends without interruption for more than a century, and it has grown its annual payout for 32 consecutive years. 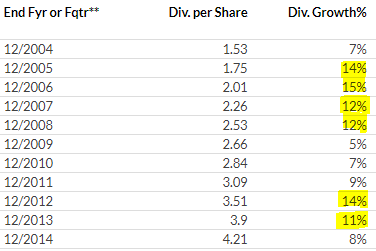 Because its free cash flow was falling, and because dividends come from FCF, the company had to do some fancy footwork (and some borrowing) to keep its streak alive. As shown in the above table, Chevron raised its quarterly dividend a grand total of one penny from Q2 2014 through Q4 2017. The timing of its one increase during that span (for Q4 2016) let the company maintain its Dividend Aristocrat status. Some criticized such “cleverness” as little more than a ploy, but I looked at it as a company that is practically religiously committed to growing its dividend. 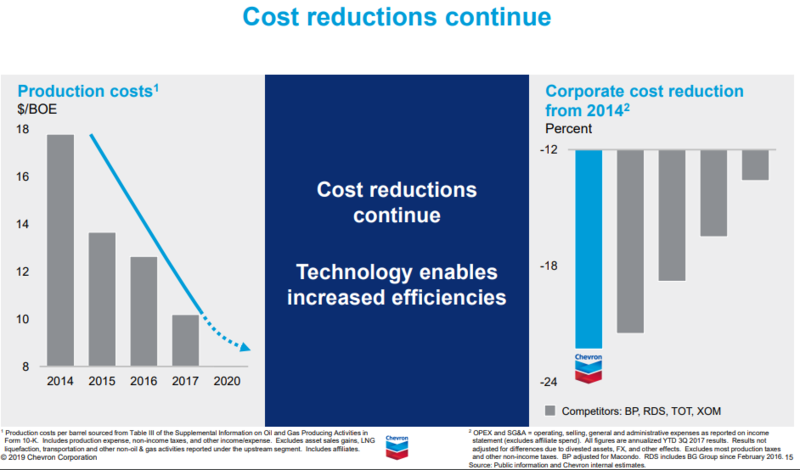 Sure enough, in the first earnings-report slide I presented in this article, “Maintain and grow dividend” was cited by Chevron as its No. 1 financial priority. As a Dividend Growth Investing practitioner, that means something to me. In the decade before the oil glut, CVX had been very aggressive with its dividend raises. Thanks to several double-digit-percentage increases, Chevron’s payout grew 175% during that span. As it continues to improve its balance sheet, the company is not yet ready to go back to double-digit divvy hikes. Nevertheless, two days before its most recent earnings report, Chevron did announce a 6.25% dividend hike for 2019, to $1.19 per quarter ($4.76 for the year). The yield now exceeds 4%. 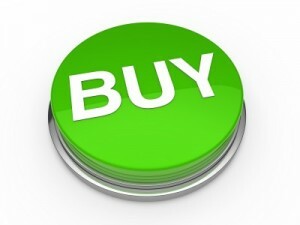 In my personal portfolio, I hold only two oil companies: Chevron and Exxon Mobil. 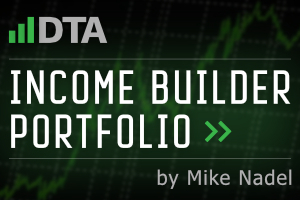 The industry can be so volatile, I only wanted to own the best of the best, and I imagine the same will be true of how I manage the Income Builder Portfolio. Chevron’s profits and cash flow are largely tied to oil and gas production and could suffer as a result of a significant fall in prices. Additionally, long-term price depreciation would expose the company to overinvestment risk, as current projects would see returns languish with weaker economics. Regardless of commodity prices, these projects are also subject to cost overruns or completion delays. Many of the company’s new investments are in politically challenging areas that sometimes have fickle leaders and populations hostile to outside firms. 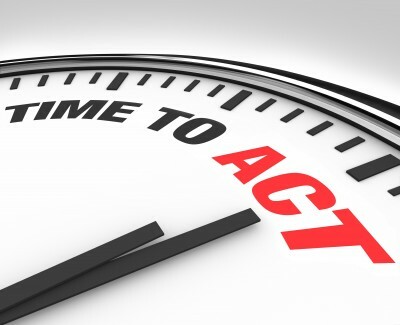 With significant exposure to the Gulf Coast, extended delays in permitting could result in higher costs and delayed production volumes. In the long term, greater adoption of electric vehicles, autonomous vehicles, and ride-sharing could reduce demand for oil and refined products. 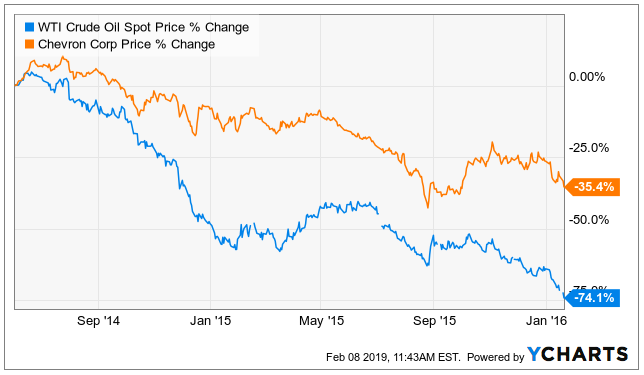 Interestingly, Big Oil can hold up decently (relatively speaking) in bear-market conditions. 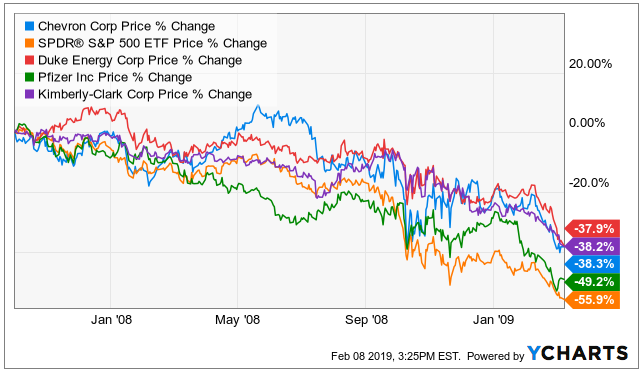 Chevron suffered a much lower drawdown than the S&P 500 Index did during the Great Recession, and CVX fared quite well compared to some well-known companies in defensive sectors such as Utilities, Health Care and Consumer Staples. Why CVX Instead Of XOM? Some might wonder why I selected Chevron rather than its larger peer, Exxon Mobil. 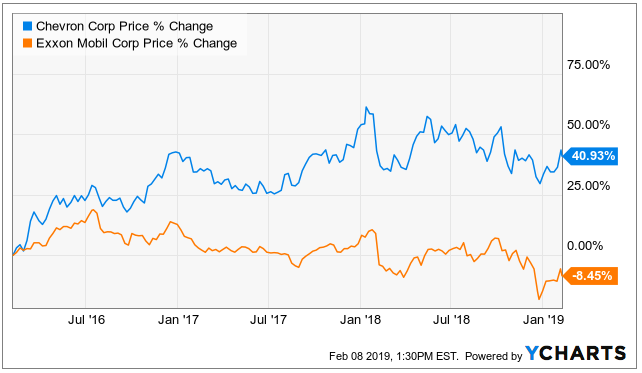 Although I will go into valuation more in next week’s post-buy article, I do believe CVX has a somewhat more inviting valuation; for example, its price/earnings to growth ratio (PEG) is 1.5 to XOM’s 3.7. Chevron’s price also has recovered better since the industry pullback ended. Nevertheless, the CVX-or-XOM debate is legitimate, and I probably could have flipped a coin to choose between the two for the IBP’s first Energy-sector position. I imagine the portfolio will own XOM before it’s all said and done. Someday, roads in India — and everywhere else in the world — very well could be filled with vehicles that use electricity or hydrogen or natural gas or just about anything other than oil. Heck, maybe there won’t even be roads, and we’ll all use the same transportation method as my favorite cartoon family. I happen to think “someday” is such a long way off, however, that I’m comfortable making a long-term investment in Chevron, a true blue-chip company. My article about the execution of our CVX purchase, along with some pertinent valuation information, will be published Wednesday, Feb. 13.